A few days ago I received Saint Ann’s Blessed Oil and the following prayer from Saint Ann’s Shrine in Cleveland, Ohio. The oil had been touched to a First Class Relic of St. Ann. I felt so much peace while praying to St. Ann, mother of the Blessed Virgin Mary. The following prayer can be recited as a Nine Day Novena during times of sickness and suffering. St. Ann is the patron of mothers & grandmothers, of women in labor and of barren women. Saint Ann, beloved patroness, I come to you with confidence as a sick person, not only because you are powerful and kind, but also because you have experienced life’s oppressive trials. Over the centuries, you have obtained from your Grandson Jesus instant relief for countless infirm and sick people. Pilgrims to Saint Ann have never ceased thanking you for such favors. At this moment, you know I am suffering. But, I want to unite myself with the suffering Christ. I offer my pains to the Lord so that His redemption be accomplished in all the hearts. I count on your intercession, Saint Ann, for courage and peace of mind. Do implore God to heal me, for everything is possible to Him and He answers your prayer. I pray to you also on behalf of all the suffering and sick people of the world, especially those I know and assist personally. (Mention names). Amen. I offer you thanks and praise, O God, for Your many gifts and blessings. You are with me in times of joy and peace, as well as in days of pain and sorrow. Through Your goodness I can delight in good health, find happiness in family and friends, grow through experiences that challenge me, and gain wisdom from all life’s lessons. Grant me a continued share in Your grace each day, that I may live so a to be a cause of gratitude for others, with a peaceful heart and a contended spirit. Amen. Lord Jesus, be with my family. Grant us Your peace and harmony, an end to conflict and division. Gift us with compassion to better understand each other, wisdom and love to assist each other, and trust and patience to live peacefully together. 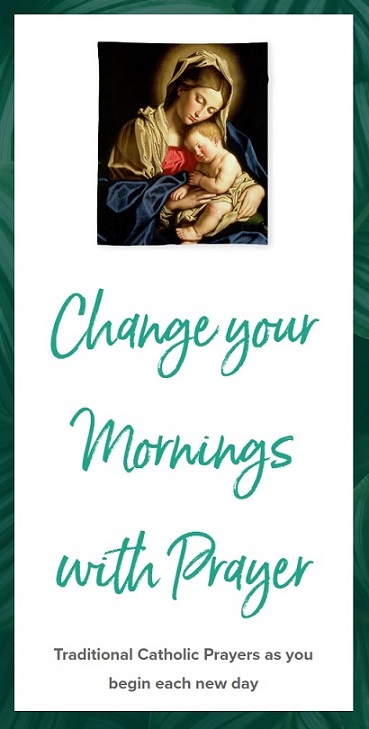 Grant that through the intercession of your mother, Mary, and St. Joseph, our family may become a holy family accepting each other, working together in unity, selflessly dedicated to one other and to You. Amen. 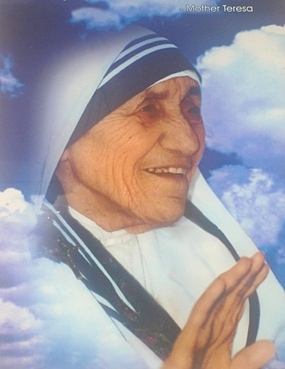 Blessed Mother Teresa of Calcutta was beatified on 19th October, 2003 by Pope John Paul II. Her Feast day is celebrated on 5th September. In preparation for her feast day, here is a prayer for growing in charity, service and love. Gracious God, You offered the world a powerful example of Christian love in action through the words and deeds of BLESSED MOTHER TERESA of Calcutta. She taught us how to faithfully serve Jesus by loving and caring for the least of our brothers and sisters. She devotedly fed the hungry, gently cared for those who were sick and dying, provided shelter for the homeless, and embraced needy children who were unwanted and forgotten. The greatest responsibility of parents is to pray for their children and guide them to Jesus and teach them about Catholic faith, so that at the end of their earthly journey, their souls may be in Heaven. Here is a daily prayer to our Blessed Mother for our dear children. Let us consecrate our children to our Heavenly Mother so that she may lead them to Heaven. O Lady of Providence, my mother, to you I confide the children God has entrusted to me. Keep them safe in body and soul. When the responsibilities and trials of life come to them, continue to be their provident mother. Above all, O Mary, be with my children at the hour of death and lead them into eternity, so that with you, they may praise forever the Creator, the Redeemer and the Holy Spirit. Amen.